Easily cut your trim with the Hitachi™ 15" Miter Saw. 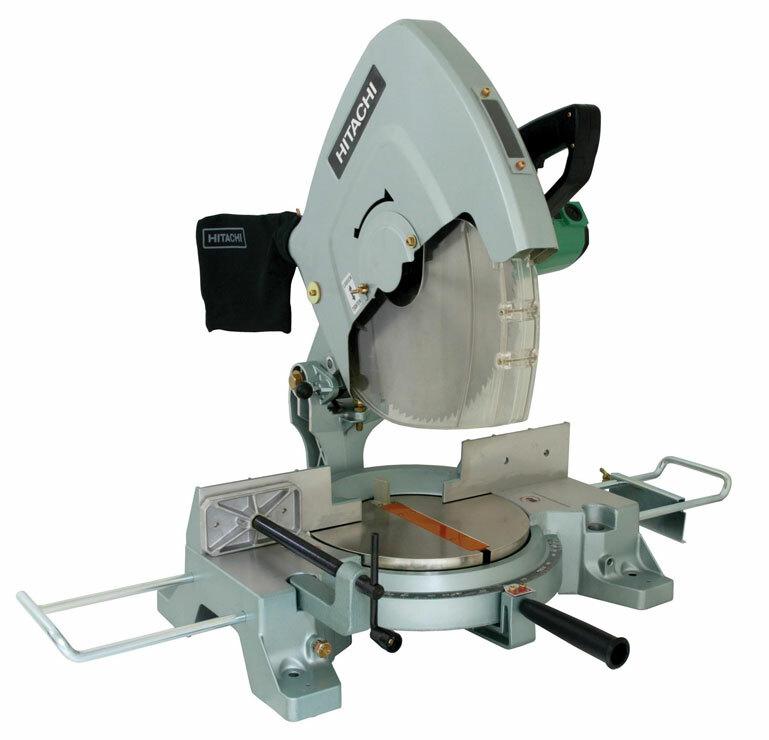 This miter saw is built to handle tough jobs and cut through wide stock, including various wood materials, plywood, decorative veneer, soft fiberboard, hardboard, and aluminum products. Its superior depth of cut and powerful motor allow for optimum material handling, and its 11 miter stops make the C15FB a precise tool that's incredibly easy to use. The miter saw runs off of any standard 115-volt power supply and features a robust 15 amp, single-phase motor that spins the 15" blade at no-load speeds of up to 3,400 RPM. Cross Cut at 90 degrees: 4-3/4" x 7-9/32"
Miter at 45 degrees: 4-3/4" x 5-15/32"